Welcome to my blog. Be patient as I am still learning how it works! Four or five years ago I discovered that making cards was super fun. I keep learning as I watch many expert crafters and artists on the internet. 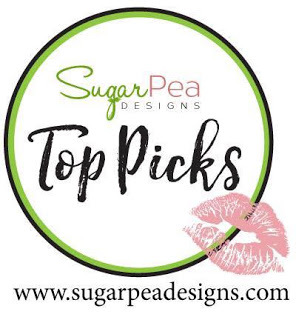 Thanks for stopping by to see my creations! I am also going to enter this card in the Simon Says Stamp Wednesday Challenge "Anything Goes" and the Monday "Love is in the Air." 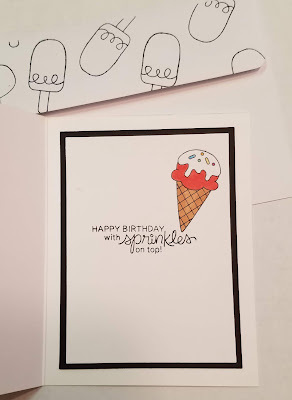 One more card to put on my blog today, a birthday card with ice cream which I made with kids in mind. These sweet treats are from Newton's Nook, colored with Copic Markers. The sentiment is from Reverse Confetti, heat embossed in white on black card stock. I made the striped paper using Happy Plaids from Concord & 9th. 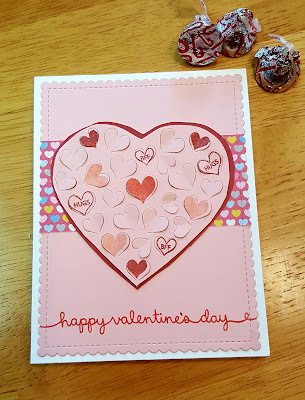 I am posting this card in two places: Simon Says Stamp Monday Challenge "Love is in the Air" and Simon Says Stamp Wednesday Challenge "Anything Goes." Today's card is for my cat loving friend who is part of my book club. 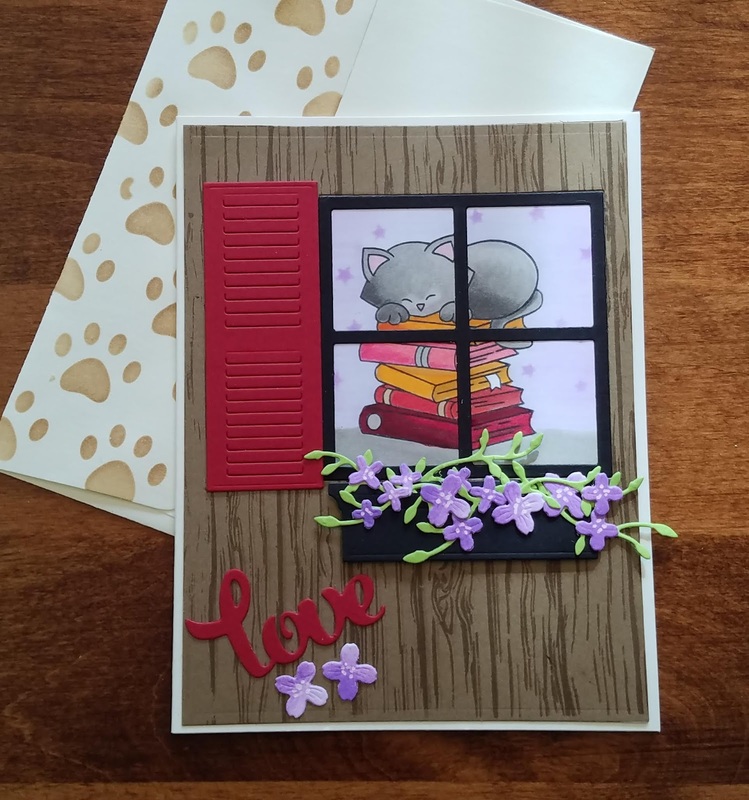 I bought a stamp set from Newton's Nook with adorable cat images long ago and wanted to set him up behind a window. 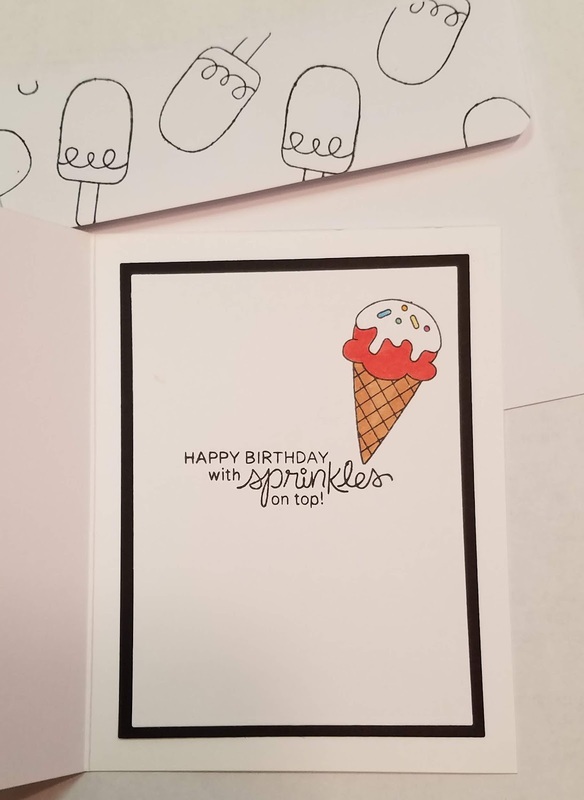 So I used several sets to create this card. I'm entering it in two Simon Says Stamps Challenges today: Monday Challenge "Love is in the Air" AND Wednesday Challenge "Anything Goes." 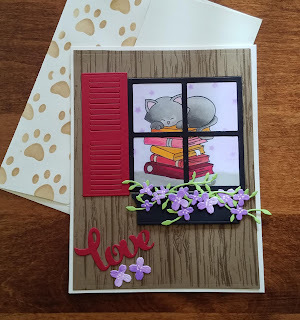 Some of the products used for this card: Newton's Nook, Poppy Stamps (for the shutter & the flower box,) Die Namics Window Die, Reverse Confetti (for the word "Love.") 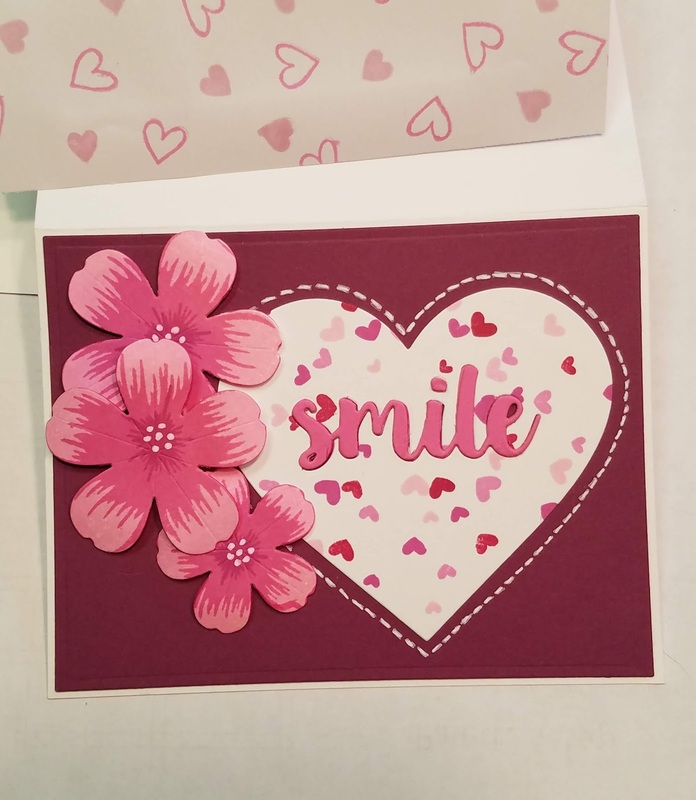 The flowers and leaves were cut from an Impression Obsession die set and colored with copic markers. For the background panel, I used a large stamp from Altenew which resembles wood texture trying to make this look like the outside of a house (obviously!) I thought the little flowers looked like X's so I placed two under the "love" sentiment! In the end I wasn't sure if I liked the whole composition of this card... feeling it's a bit lopsided. Thanks for visiting. 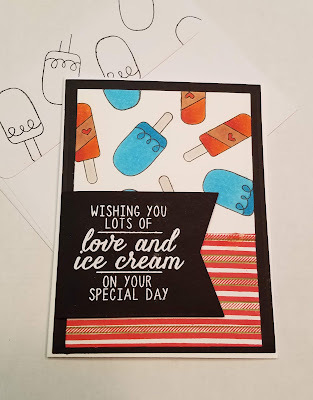 Turn-a-bout stamp set, I ended up creating another card! created a pretty focal point for this birthday card. and little hearts on the envelope flap are used to finish this project. 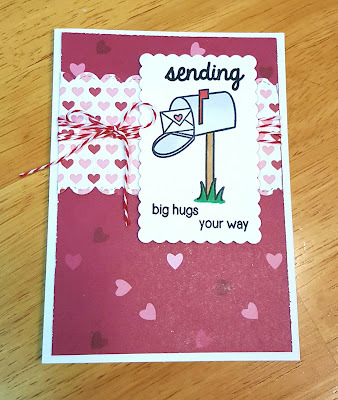 I'm entering this card in the Simon Says Stamp Wednesday Challenge HAVE A HEART. Every once in a while new products "Wow" the paper crafting world! The company Concord and 9th' have created a great success with their Turn-A-bout Stamp sets! I have loved the ones I tried so far. Here's a card using one of them. Simon Says Stamp Wednesday Challenge this week is Have a Heart so my card fits right in! I recently bought Concord & 9th's Hugs & Kisses Turn-A-bout Stamp. I used it for this card although it's not the focal point. The tiny hearts in shades of pink and red within the larger heart shape were made with the Turn-A-bout set. They were stamped first. Then, I decided to die cut the word SMILE from the middle of the large heart and inlay it back into the center of the heart. On the side I placed several Altenew Sakura Blossoms using dimensional tape. This stamp set is a three step stamp set using several shades of ink in the same basic pink color. 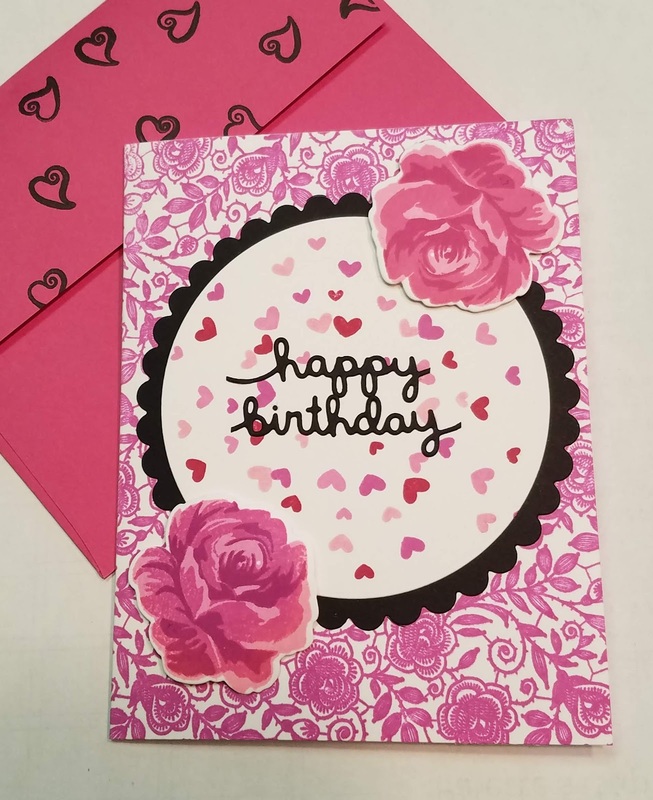 A while gel pen for the center of the flowers and dashes around the heart finished the design of this all purpose card. These are the panels I created for the inside of this card. 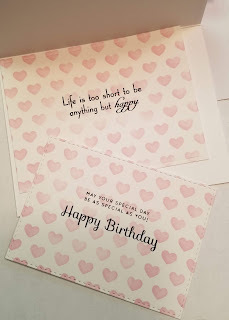 I used a stencil for the hearts and then stamped the sentiments right on top. By creating two different inserts and leaving them unglued, you can select which one fits your needs in the future. 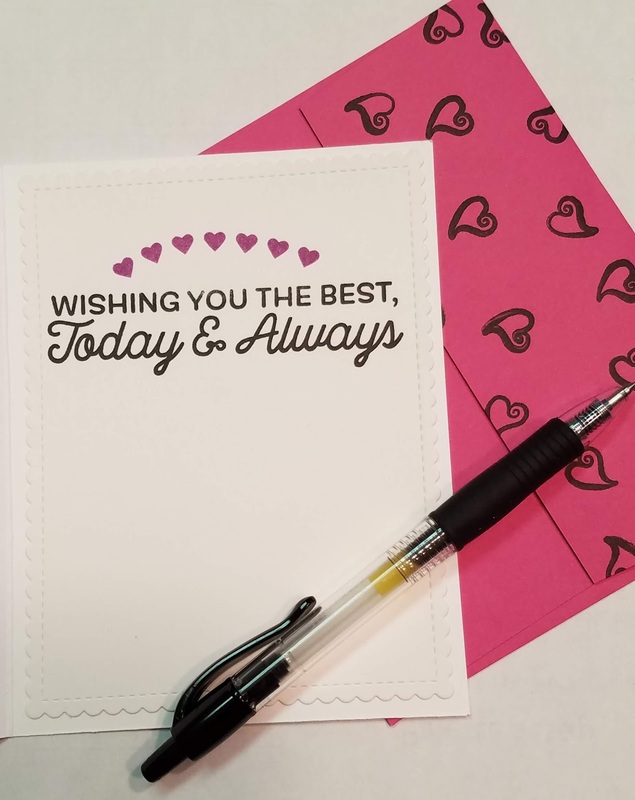 I find this to be so much more useful than adhering a specific message inside a card! Thanks for checking out my creation today! Happy crafting. Hi bloggers! Here is a quick Valentine's Day card good for a boy or a girl. Using patterned paper for the background and wide horizontal stripe saves a lot of time in case you need a few of these for the children in your neighborhood. The mailbox image and sentiment are from Sunny Studio, colored with copic markers. 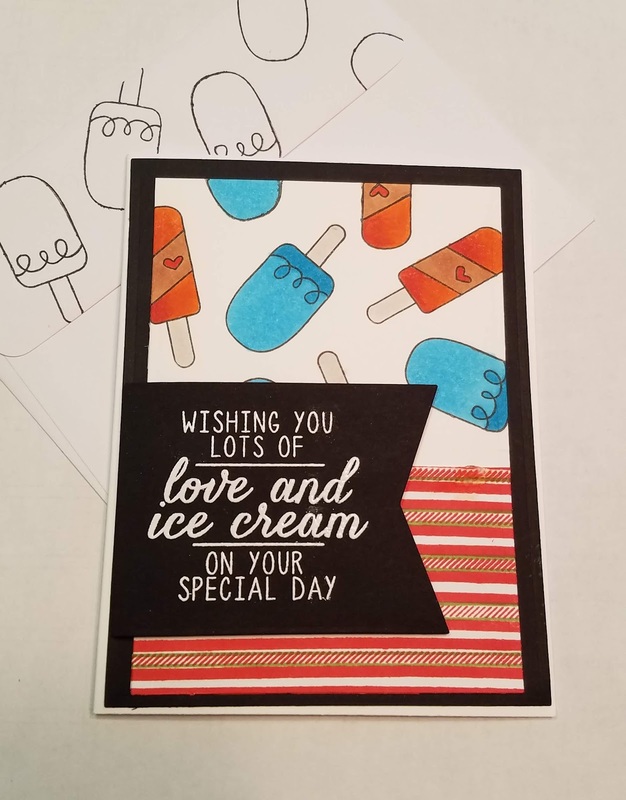 Some red and white twine finishes this card. 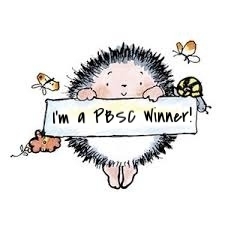 I am entering this card in the Simon Says Stamp Have a Heart Wednesday Challenge. 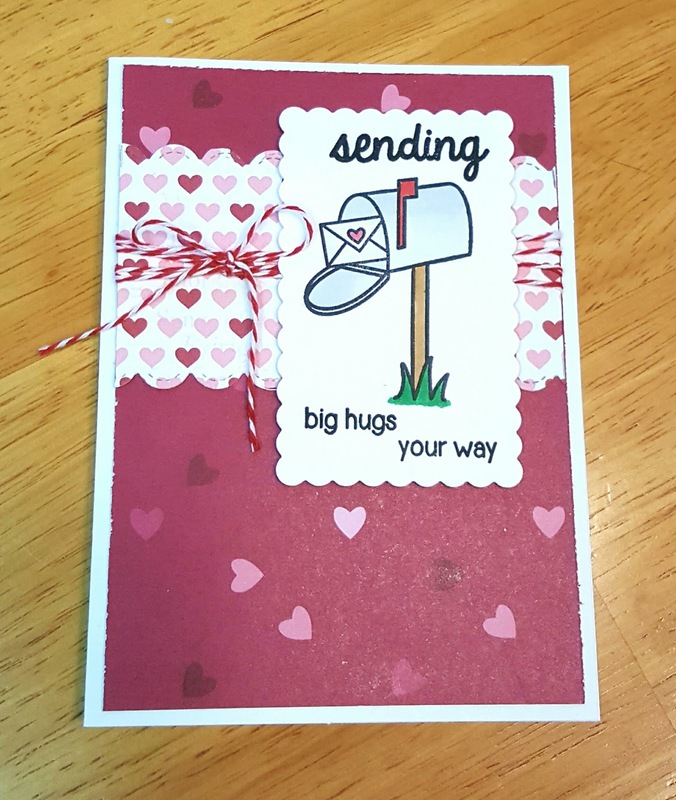 This week's Simon Says Stamp Wednesday Challenge "Have a Heart" means we're getting ready for Valentine's Day of course. So here's my first card for the upcoming holiday! 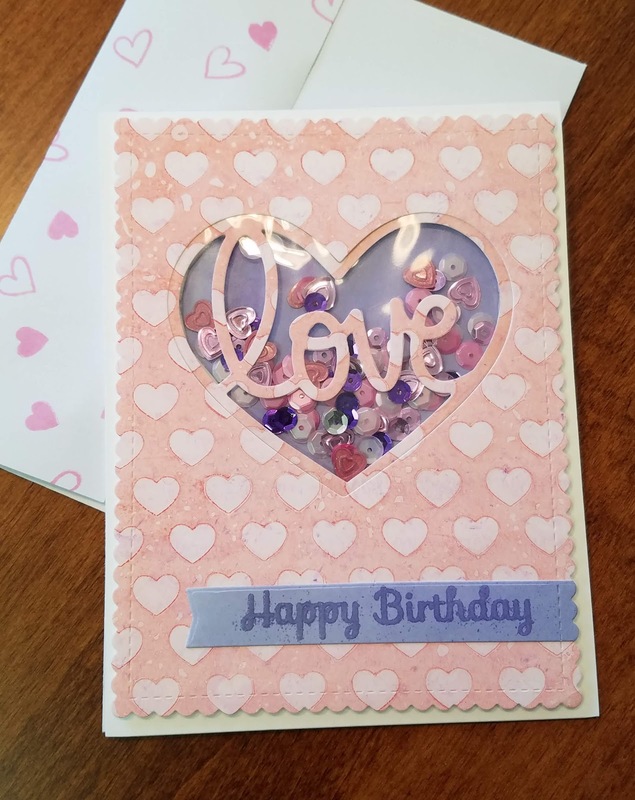 This is a fairly simple card using some pattern paper behind a double heart shape. The one in the foreground is a die from Hero Arts which automatically cuts small hearts in the large heart. Then you can stamp images or words on the small hearts! The sentiment at the bottom is from Lawn Fawn. This panel was cut using Die Namics Blueprint Sketch 27 scalloped rectangle die and adhered to a standard size card, 4 1/4 by 5 1/2. Getting Old is for the Birds!